This picture was taken on the steps of Nork House in, I believe, 1907 while Constance Dalziel was on a visit or living in England. 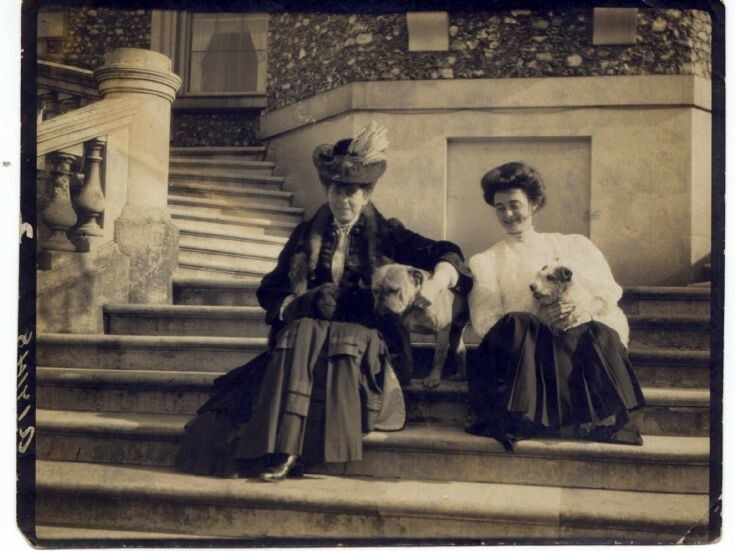 Helen Dalziel Colman is on the left with the hat, and Constance Dalziel is on the right. I do not know the names of the dogs.